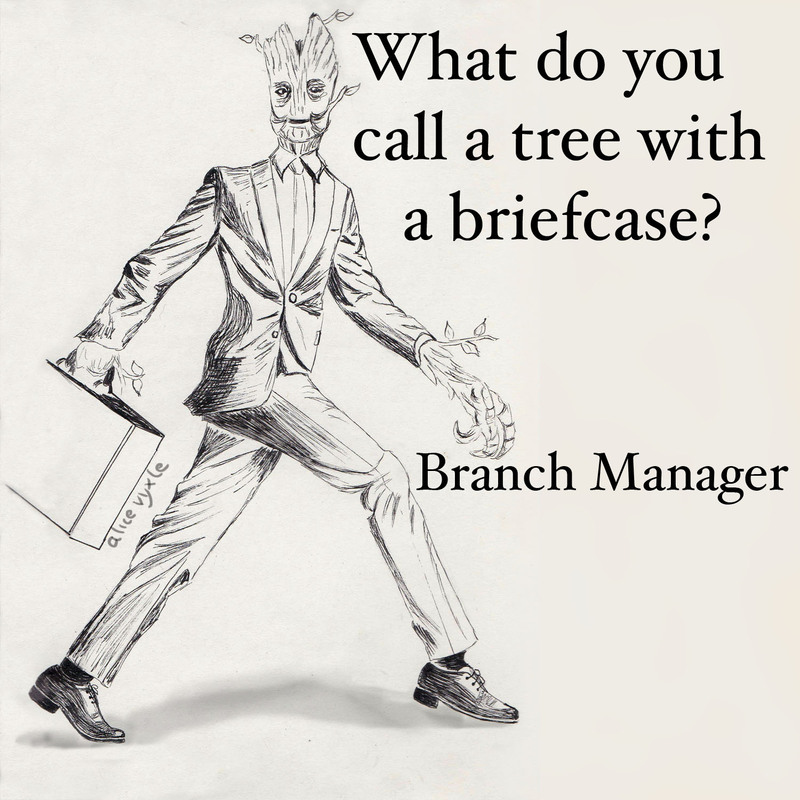 Today’s Art: What do you call a tree with a briefcase? This entry was posted in Uncategorized and tagged bespoke, branch manager, dad joke, ent, gotg, groot, guardians of the galaxy, oyaji gag, sharp suit, suit, tree, well dressed. Bookmark the permalink.